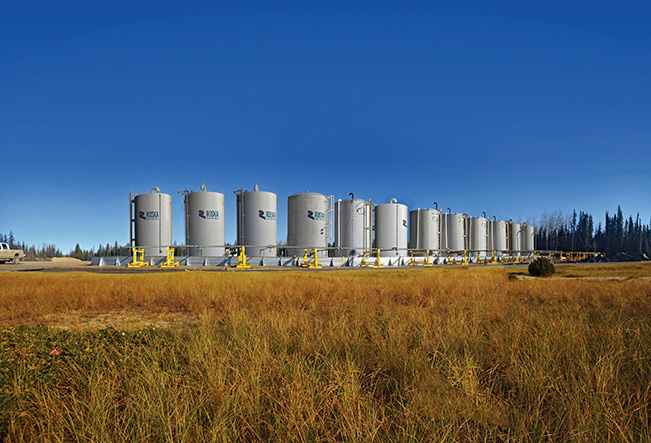 Rental 400 bbl Sweet Liquid Storage Tanks - Roska DBO Inc.
One reason we got into the tank business is because standard industry tanks are: unheated, uninsulated and poorly vented. Roska’s approach overcomes these shortcomings. 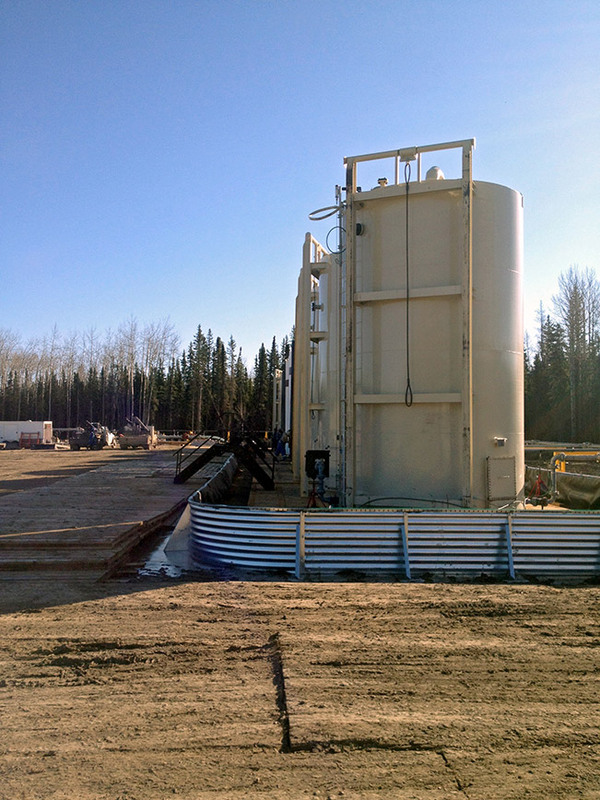 All our tanks are heated and insulated. They have multiple other design advantages, described in the write-up for the 400-barrel sour liquids tank writeup. This sweet tank can be easily made sour. 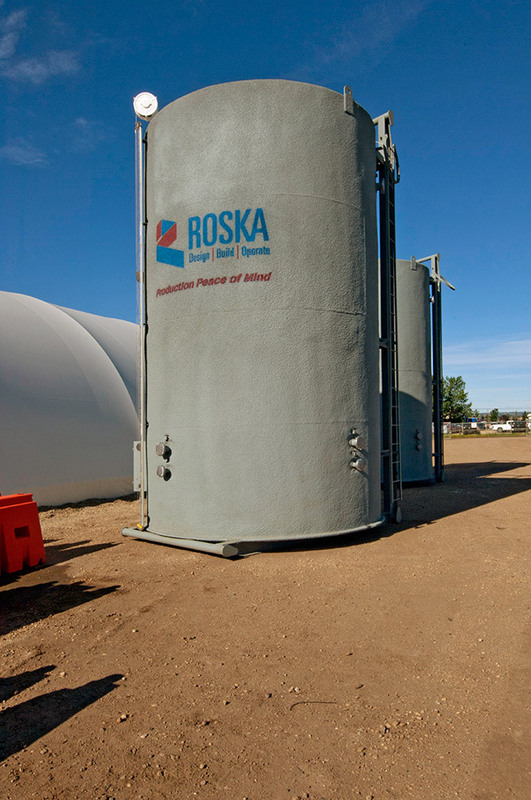 Roska offers complete tank farms off-the-shelf!